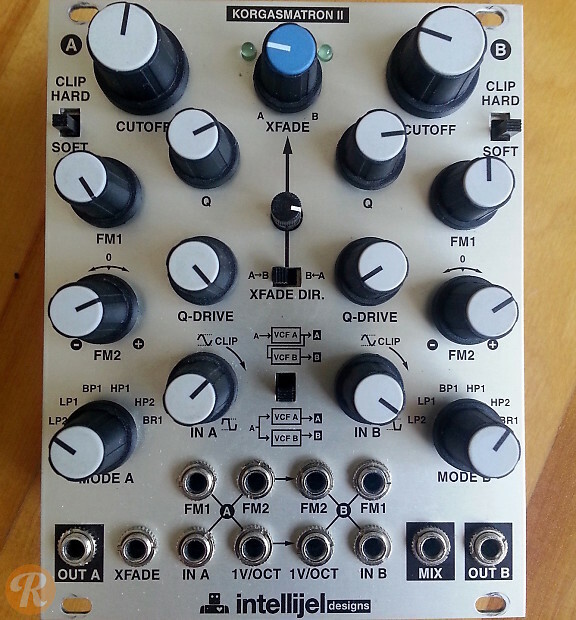 The Korgasmatron II is a dual VCF module based around the filter of the original Korg MS-20. Six modes are independently selectable for each filter, along with a selectable hard or soft clipping circuit which works in tandem with the configurable input drive, resonance and resonance drive. Options for running the filters in parallel, series, independently or crossfading between the two sides are on board as well, and both filters track evenly at 1V/Oct when pushed into self-oscillating levels of resonance, so can be utilized as VCOs if desired.